Holocaust survivor Irving Korek, interviewed in 1995. A native of Grojec, Poland, Korek came to Youngstown in 1948, later moving to Minnesota. The Thomases Family Endowment of the Youngstown Area Jewish Federation is donating the videotaped testimonies of Holocaust survivors from the Mahoning Valley to Youngstown State University’s Center for Judaic and Holocaust Studies. YSU is the only place in all of Ohio, and one of only a handful of universities across the nation, with such videotaped interviews. “Soon, there will not be any Holocaust survivors available to give first-hand accounts of their experiences,” said Helene Sinnreich, the Clayman Professor of Judaic and Holocaust Studies and director of the Center for Judaic and Holocaust Studies at YSU. Kristine Blair, dean of the College of Liberal Arts and Social Sciences, said YSU is honored to be the permanent home to the oral histories. “This collection means that YSU’s Center for Judaic and Holocaust Studies will become a central point for researchers and scholars from around the nation and the world,” she said. 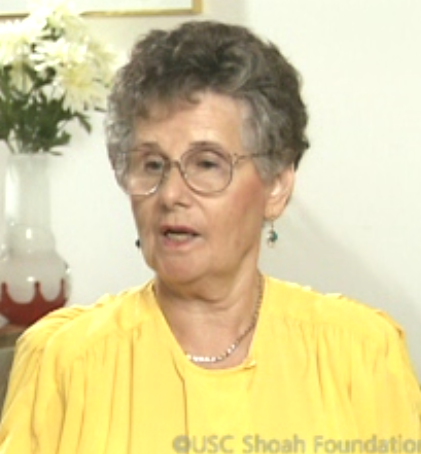 Holocaust survivor Ruth Gross, interviewed in 1995. Born in Czechoslovakia, she moved to Ellwood City, Pa., in 1949, later moving to Youngstown. She died in 2015. 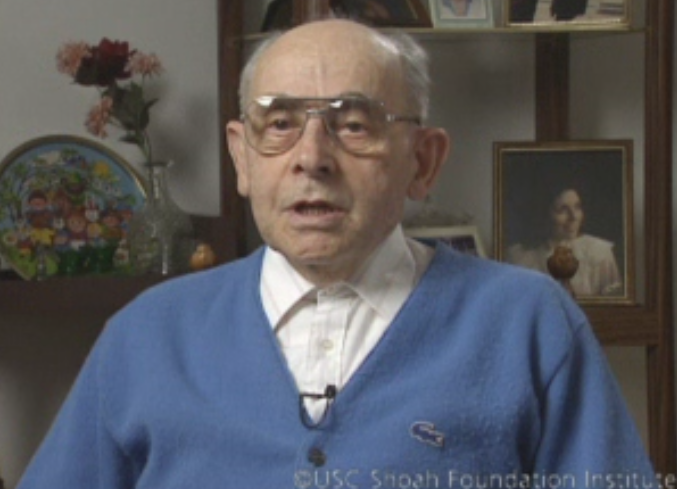 The 2- to 3-hour videotaped testimonies by 30 Holocaust survivors who settled in the Mahoning Valley were originally part of the Shoah Foundation collection at the University of Southern California. In 1994, Steven Spielberg, Academy Award-winning director of Schindler’s List, founded the USC Shoah Foundation Institute for Visual History and Education to record testimonies in video format of survivors and other witnesses of the Holocaust. With the gift, YSU is the only place in Ohio with testimonies from the Shoah collection. Previously, the closest place to view the testimonies was at the University of Michigan or at the U.S. Holocaust Memorial Museum in Washington D.C. Sinnreich said YSU joins a short list of prestigious universities, such as Yale, Harvard and Virginia, that hold Shoah testimonies. The testimonies will be permanently housed at YSU to facilitate a research project being carried out by the Center for Judaic and Holocaust Studies and the History Department, both housed in the YSU College of Liberal Arts and Social Sciences. Over the past three years, the Center has been gathering all known data on every Holocaust survivor who lived in the Mahoning Valley. To date, it has collected the names of 184 Holocaust survivors who at one time lived in the Youngstown area. “The USC Shoah Foundation testimonies are extremely useful in providing more information on area survivors,” Sinnreich said. Anyone with a YSU login, including students, faculty and staff, will be able to access the collection anywhere on campus or at home by logging in remotely. The general public will be able to access the collection through public terminals at Maag Library. For more information, visit the YSU Center of Judaic and Holocaust Studies.